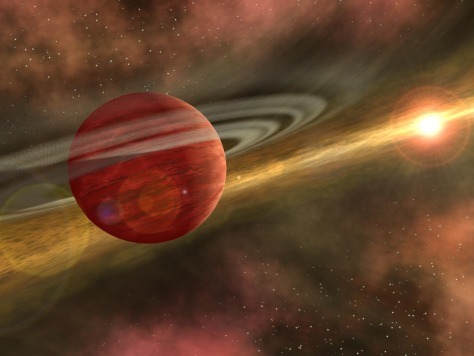 This artist's image shows a newly formed planet swimming through the gas and dust surrounding the star. Such a planet might scoop up gas and dust to build an atmosphere, which it could lose as it moves closer to its sun. Thus it could shift from a gas planet to a terrestrial planet.